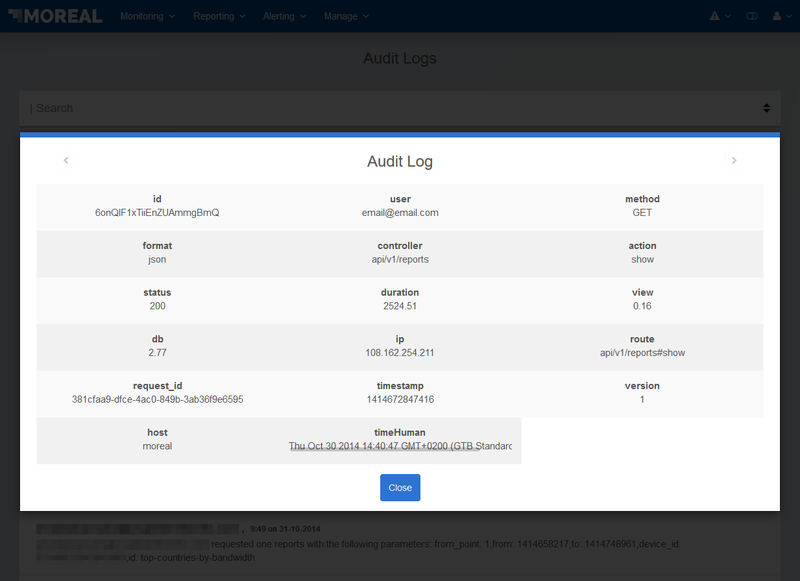 To have an overview of the actions that are taken by the users of an organization and its sub-organizations, MOREAL provides a log auditing mechanism and monitoring screens only to Super Administrators of the root organization. More specifically, a super administrator can view all the logged actions listed in items containing the recorded time, a message that describes the action taken briefly, and the name of the user that took the action. Every list item can be clicked on to get more details on the logged action that appear in a modal window. The details of the logged action are mostly related to network filtered information and they appear as illustrated in the following figure. A modal window provides more details on the logged actions. 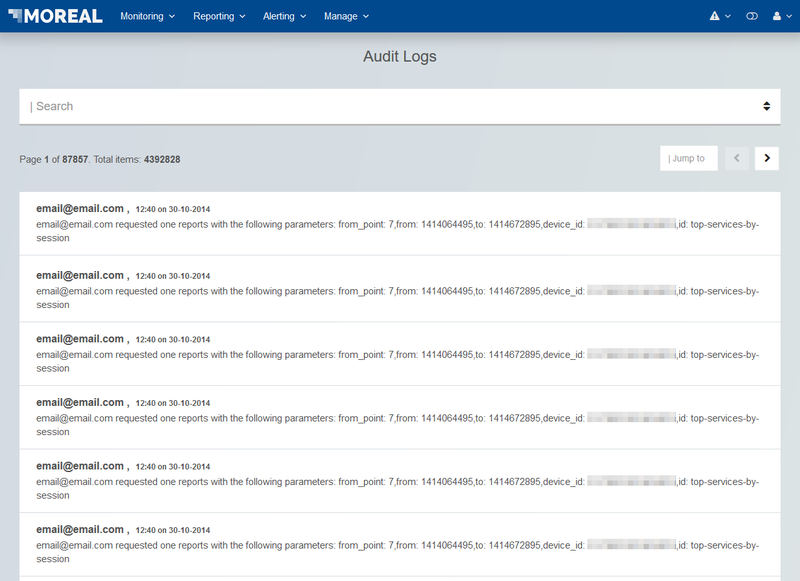 The chevron arrows navigate between audit logs.